There are some working and effective homeopathic remedies for migraines, especially if you don’t really like having the medical treatments. Dealing with migraines can be tricky because we are talking about your heads. Although it is always possible to get medical help, not many people are into it – mostly because they are afraid of risks and side effects. But it is a good thing that there are some alternatives ways, including homeopathy solution, that can help you with the throbbing pain. Migraines aren’t just the regular headache. This headache mostly affects one side, with pulsating or throbbing sensation. Besides the headache, you may also experience vomiting, nausea, and noise (also light) sensitivity. In most cases, people with migraines can’t stand bright lights because the eyes area is also painful. The pain itself can be various, starting from the moderate and mild to severe. Besides the medical treatments, the homeopathic treatments are considered quite effective – not to mention that it is also safer in nature. 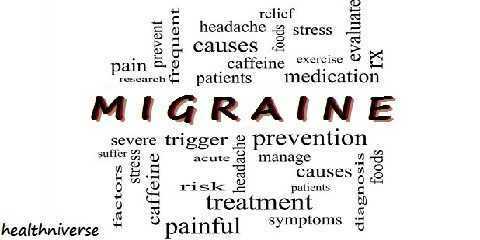 Whether it is chronic or acute migraine, there are always different homeopathy options. Naturally, the types of treatments depend on the condition of the patient. That’s why detailed and thorough checking and examination are needed to make the sure that the solution will be effective enough to target the core issue. It is supposed to make the problem go away for good. As it was mentioned before, the treatments for migraine depend on the types of headache you are suffering. Throbbing migraines are best treated with Belladonna. People who experience pulsating full headache claim that the head seem full. The problem gets worse with light and noise. In some cases, cold can trigger the headache – cold water bath or cold air exposure. They feel better when their head is pressed hard. But of course, it is better with Belladonna, don’t you think? Congestive migraines are best treated with Glonoinum. The characteristic of this headache is the head seems to get bigger and almost to explode. It seems that the head is too heavy, and only gets worse with heat. Sometimes, it can be triggered by sun exposure. Sleeping will make this headache feel better, while walking making it worse. Left sided migraines are better treated with Spigelia. In most cases, the pain starts from the head, going upward, and ended over the left eye. It feels throbbing with violent pain. It feels as if someone put a tight headband of your left side head. Your eyes will feel hurt too, and eye movement will only worsen it. 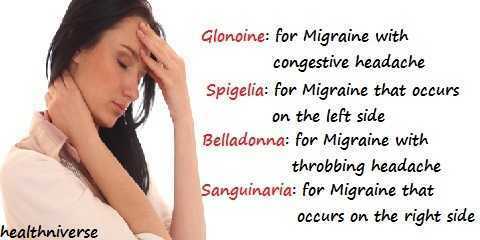 Right sided migraines are better treated with Sanguinaria Canadensis. Just like the previous one, the pain settles on the right area. This kind of headache is often triggered from hunger or empty stomach. Sleeping in a quiet and dark room often helps. This kind of headache often happens to women with menopause. There are other solutions for different kinds of headache. Migraines with vomiting needs Iris Versicolor while migraines that happen during menstruation period requires Natrum Muriaticum. In short, there are different treatments for different headaches and migraines. 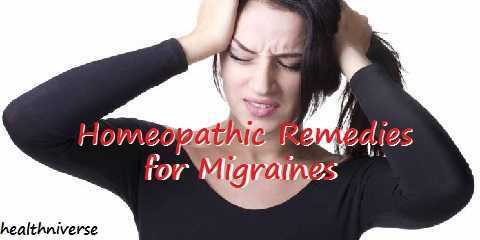 If you want to, you can learn more about various homeopathic remedies for migraines.